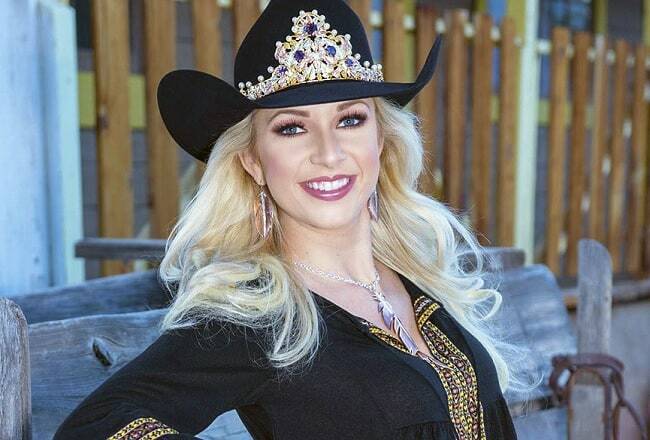 Keri Sheffield of Florida was crowned the 2018 Miss Rodeo America last December and continues to reign over the Miss Rodeo America title. She has been traveling to rodeos all over the US and in total will have traveled to over 120 rodeos during her tenure as Miss Rodeo America. Sheffield received $20,000 in prizes, including a crown that fits on her cowboy hat, scholarships, Montana Silversmiths jewelry and belt buckles, Justin Boots and Wrangler apparel from her win last December. She will be attending the 2018 National Finals Rodeo as well as the Miss Rodeo America Pageant to crown the new Miss Rodeo for 2019. The first ever Miss Rodeo America Pageant took place in Casper, Wyoming in 1955. It was not until 1958 that the pageant began to line up with the National Finals Rodeo when they found that it was a perfect fit for the week of events. The first televised Miss Rodeo took place in 1989 but it has been a while since the pageant has been on television. The organizers are still working to get the pageant back on television but you can see last year’s event on the Miss Rodeo America website and check out Sheffield’s win. The Miss Rodeo America Pageant will take place during the 2018 National Finals Rodeo in Las Vegas. The pageant actually starts on December 2nd, four days before the competition begins but the pageant runs until December 9th. This will be the 64th Miss Rodeo America Pageant in its history and there will be over 30 contestants competing for the prestigious crown. The coronation of the pageant actually takes place Sunday morning and it begins at 10:30 AM PST and goes from 12:30 PM PST. Any fans that are hoping to catch the pageant as well as the finals for the championship that night will easily be able to attend and fully enjoy both events without having to rush from one to another. All of the contestants will compete in areas of appearance, horsemanship and personality to try and win the title. Miss Rodeo America’s website is filled to the brim with amazing content and they are so proud to represent Miss Rodeo. “For today’s rodeo fans, it’s difficult to imagine the world of professional rodeo without her: her charm, her ability, and most importantly, her knack for turning rodeo spectators into rodeo fans. Miss Rodeo America is a part of history … yesterday, today and tomorrow.” Miss Rodeo will be around as long as the National Finals Rodeo will be, there is certainly no doubt about that. Miss Rodeo America is always a great event that is filled with a lot of history and it is a great way to celebrate the National Finals Rodeo. There are so many events that fans who come to Vegas to watch the event can enjoy, this should certainly be on the map. Fans should embrace the history and majesty of the event and make sure they get tickets to the pageant before the tickets sell out.